For John Kent, a 71 year old taxi driver who moved to Covent Garden as an infant in 1942, Covent Garden has always been a fantastic blend of the local and the glamorous. 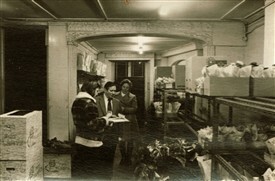 His ties to the area run deep: his grandmother owned a flower-shop in Tottenham Court Road but collected her flowers from the old fruit and vegetable market. His father, John Kent Sr., was a professional boxer, and trained at a gym in Neal Street called Doherty’s, where the manager, Bill Doherty, and his family made barrows for the market in a shop above the gym. 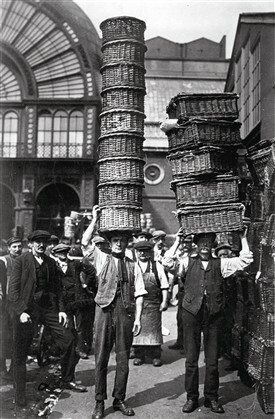 Once a year in the market, John says, the market porters would load their potatoes onto the lorries, and ‘when they finished work, they’d have races with baskets on their heads’. The man who had the most baskets on his head and didn’t drop them won the race. In describing his grandmother he asks me, ‘Have you ever seen a film called My Fair Lady?’ While I wonder what he’s going to tell me about his grandmother, I’m relieved to learn she was not manipulated by a professor with a stake in improving her accent as in the musical film. But it’s no wonder Eliza Doolittle is initially suspected of drinking, because John chuckles as he tells me how it used to be with the flower ladies. John’s grandmother collected her flowers from Covent Garden market and then had a tipple before she went to open her own shop in Tottenham Court Road while the other ladies watched the flowers outside. 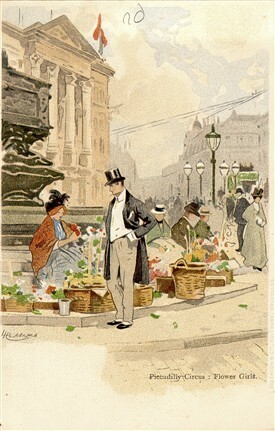 He describes it: ‘All these flower ladies come round and collect their flowers in the morning, and all congregate in the Coach and Horses pub [which used to be by the Lyceum Theatre] and they get these old, older ladies to sit outside and look after their flowers while they had a drink’. ‘Oh this place was full of characters years ago’, John says, as he recounts to me the celebrity sightings of his day. Because John used to work at Harrison’s Printers on St Martin’s Lane from 1957-1963, which printed postage stamps, he was witness to the comings and goings at the English National Opera. The local pubs on St Martin’s Lane had a really ‘theatrical atmosphere’. John tells me that he was a ‘day worker’ and therefore he was often jealous of his friends who worked the night shifts because of who they ran into at the pub on their breaks: ‘One night they all went in the pub and the old jazz singer, Ella Fitzgerald, was sitting in there’ at the Black Horse, ‘much to my annoyance because I was a big Ella Fitzgerald fan’. 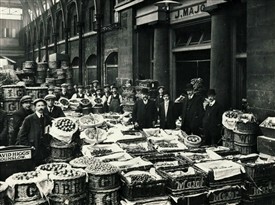 But despite the presence of famous thespians and singers, John remembers it felt ‘like a little village here in those days’ where ‘no one hardly ever moved out’ and ‘you knew everybody round here.’ The most striking thing about the market was that ‘after say six or seven o’clock at night, Covent Garden was deserted’ and ‘it was like a ghost town.’ When I ask whether he was involved in the campaign to stop the redevelopment of Covent Garden in the 1970’s, I learn that John married and left the area in the 1970’s, moving back in the 1980’s to an entirely new Covent Garden. His father, who used to coach the boxing team at Gainsford Boxing Club from the 1940’s until the 1980’s, was involved in protesting the redevelopment of Covent Garden. But when John moved back in the 1980’s he felt the change deeply, as he feels it today: ‘I’m really disillusioned with Covent Garden because we remember it how it was, you see. And now it’s just been taken over with tourists and the pubs are packed’. He remembers how there used to be a feeling of spontaneity amongst the locals; every Sunday there would be music in the pubs, and someone would get up and sing or play the piano. He says, ‘I just feel it’s not our area anymore… it’s been taken away from us’. Not that this stops John from going to the pub these days, he lets me know, he just misses the old Covent Garden. When I ask him what he was most proud of in the area, he lights up to tell me more about his father’s boxing club, the Gainsford Amateur Boxing Club, run by the Inns of Court. It used to be located at 44-46 Drury Lane, he remembers, and the great thing about it was it ‘got kids off the streets,’ he recalls, as he himself boxed for it. 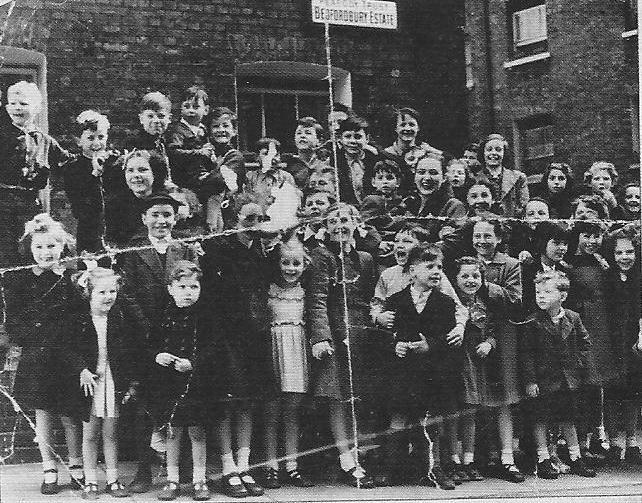 He remembers kids and teenagers could play snooker and table tennis and even go on organised holidays abroad to Spain and France. ‘They had a great football team, like soccer in your country’, he jokes with me about my American background. It is closed now, but the Gainsford Club had a rich history of training boxers and was visited by Prince Philip in 1958. 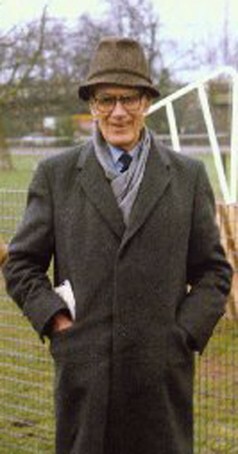 The club was central to John’s childhood, to his father and to his father’s brother Peter and cousin John who also coached boxing at the Gainsford. 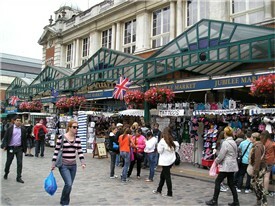 The club contributed to the community atmosphere of Covent Garden. John’s experience of the old Covent Garden was that it was a place for the locals; it was its own little neighbourhood, with its own humour and spontaneity. However these characteristics certainly live on in John, and as long as there are residents who remember the good old days, those days live on in spirit. 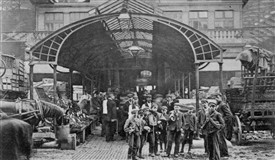 This interview was conducted as part of the Lottery Heritage Fund project, 'Gentlemen We've Had Enough: The Story of the Battle to Save Covent Garden'. 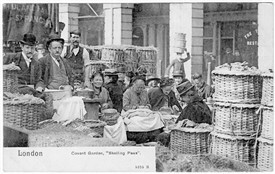 On Friday 10 May 2013, King's College London students, supported by Westminster Archives, the Covent Garden Community Association, and the Centre for Life-Writing Research at King's College London, interviewed Covent Garden residents about their memories of the area. 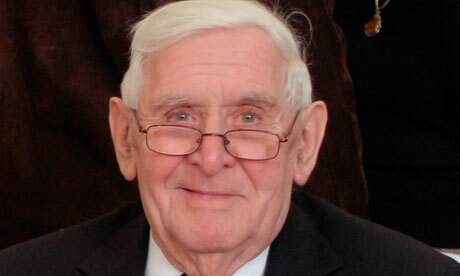 Students' accounts of their interviews have been added to this Covent Garden memories website. 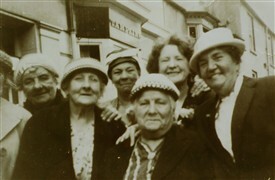 For more information see: www.kcl.ac.uk/artshums/ahri/centres/lifewriting/gentlemen.aspx. This page was added by Nanette O'brien on 08/07/2013. I totally agree with the comments from John Kent.I lived in wild street estate in the early seventies and I loved it.My granny who was a well known florist Jannie occonor told me lots of stories and I used to visit her as a child.My brother George and cousin John smallcombe used to play football for the Gainsford.It was a village within a city,sadly no more. As a former gainsford member growing up in Peabody Buildings Wild St I can recal many of Johns accounts of the area,the Gainsford Club was for many of us then kids a real focal point boxing training one night football training on the five a side pitch with the then manager Bill Barret what a character he was and for a quite night snooker on one of the four full size tables I would have been a member around 1968 to 1978 many happy memories .